I rescued her from a shelter. She was deemed unadoptable because she was so timid.I knew she was just terrified, so I demanded they let me hold her. They finally gave in! Now she is mine and she's a wonderful little girl! You go! Good for you for holding strong and knowing what you want. 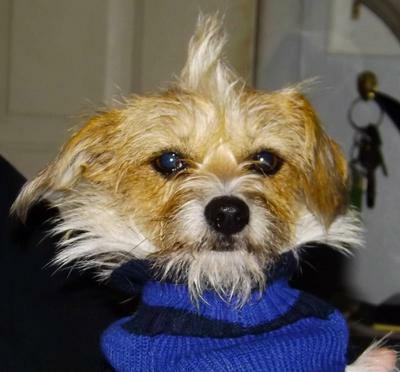 You got an adorable little pup with a mohawk nontheless :-) Enjoy her!